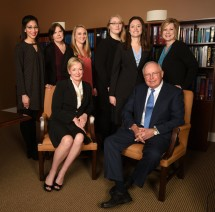 The Louisville attorneys at Morris & Player PLLC are experienced and dedicated trial lawyers. Attorneys at the firm combine more than five decades of experience in complex injury and wrongful death litigation cases. The firm has earned an exceptional reputation and is often called on by other law firms to serve as lead or co-counsel in complex catastrophic injury and wrongful death litigation. The firm offers clients the benefit of working with many of the region's leading professional consultants in the areas of accident reconstruction, medical diagnostics and treatment and life-care needs. The firm provides a free case evaluation with an attorney. The majority of personal injury litigation cases will be handled on a contingency-fee basis. Clients pay no attorneys' fees or other costs unless there is a financial recovery in a settlement or jury award.